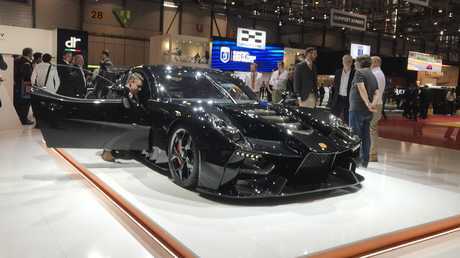 The Geneva motor show is home to wild machines you won’t find anywhere else. SERENITY is rare at motor shows. Thumping techno beats from exhibitors competing for attention ripple around the arena like cicadas in the night as presenters natter away to YouTube audiences great and small, car doors clack and folk gossip about the ever-twisting automotive kaleidoscope before them. 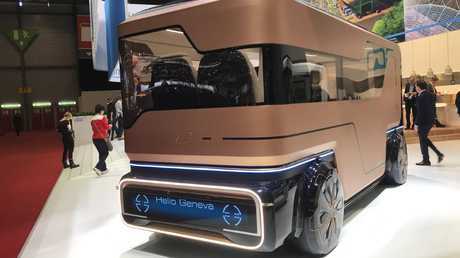 A piercing, insistent alarm brought conversation to a pause in Mazda's corporate hospitality area at the 2019 Geneva International Motor Show, causing your correspondent to leave a haven of sensible cars, free Wi-Fi, espresso and laser-engraved apples as curiosity takes hold. Flashing hazard lights on a heavily modified SUV give the klaxon's culprit away: Mansory. Established in Germany by an Iranian ex-pat, Mansory has offered its unique flavour of high-end automotive customisation for three decades. The brand reaps an enormous amount of media attention each year through the shock value of exotica on an unreasonably large stand home to a dozen or more vehicles. This is someone’s ideal $10.5 million car. 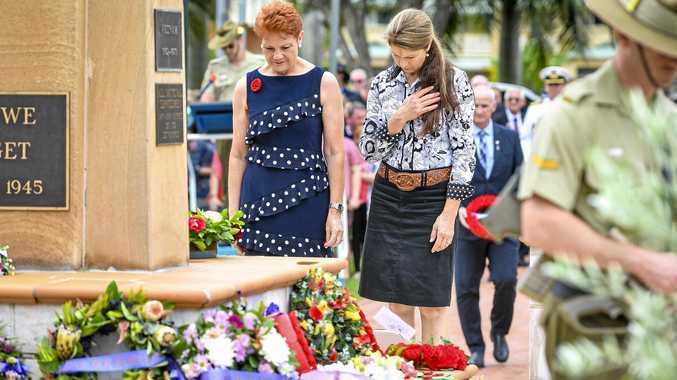 You might not like it, but this is what peak accessorising looks like. Pride of place in 2019 is a Bugatti Chiron which benefits from a broad range of updates including new wheels, a race-inspired aero kit and extensive use of marble-like chopped carbon fibre across its flanks. The price? A cool €4.1 million ($6.58m) which doesn't include taxes. Or the car, which must be sourced from Bugatti for an additional $4 million or so. 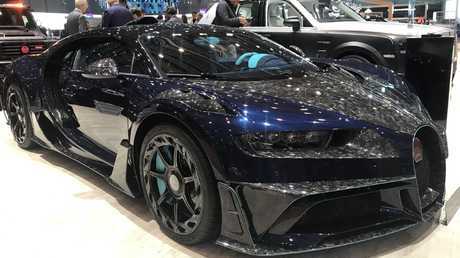 It sounds absurd until you realise that Bugatti chief executive Stephan Winkelmann just bragged about selling a rebodied Chiron to the first bloke who picked up the phone for a cool $23 million. Clearly, Mansory represents the sensible option. 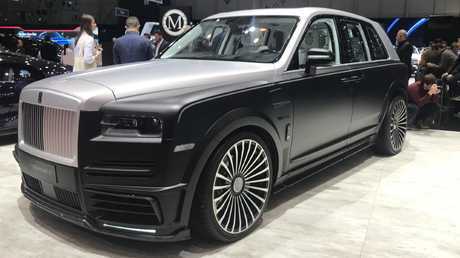 Blimp biscuit: Full-sized SUV enthusiasts can keep rollin’ in the modified Cullinan. The Chiron is parked next to a reimagined example of the Rolls-Royce Cullinan SUV. Plush seats and deep shag carpets embroidered with "Billionaire" script seemed extremely tasteless until show staff explained the limited-edition creation is the result of a collaboration between Mansory and a luxury fashion label by the same name, making the moniker an ever so slightly less ostentatious display of wealth. Get your own for crocodile-trimmed example for €640,000 ($1.02m) plus tax, which includes the donor vehicle. 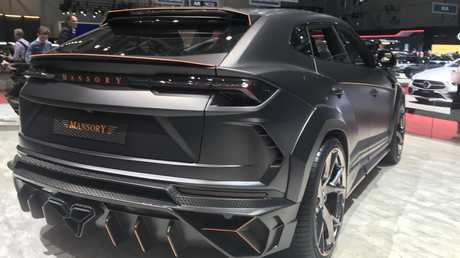 If that's too rich, consider Mansory's take on the Lamborghini Urus. No bull: Mansory’s Urus is like nothing else on the road. If the "standard" Urus can be called visually arresting, the Mansory version is something akin to summary execution. A riot of scoops, ducts, vents and flares builds on the less-than svelte original, making the Rambo Lambo a scene-stealer in any environment. 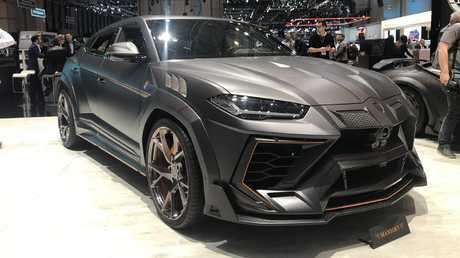 Finished in creatively cut carbon fibre with a blocky pattern reminiscent of B2 stealth bombers or tricky corner pieces in Tetris, the Urus can be yours for a little more than double the price of a car which sells for $390,000 plus options and on-road costs in Australia. Limited-edition versions of the Urus are inevitable. Will they look like this? Leaving the stand in search of a palate-cleanser, Ruf's CTR Anniversary is the perfect lemon sorbet. 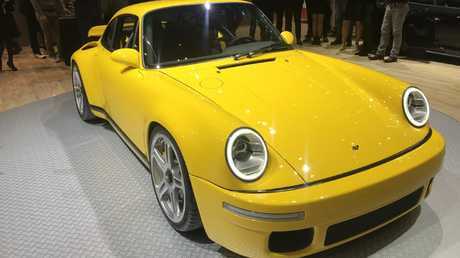 Considered a manufacturer in its own right, Ruf famously blitzed a field stacked with exotics such as the Ferrari F40 and Porsche 959 with its Porsche 911-based CTR coupe in 1988, recording a faintly astonishing 342km/h top speed which, it could be argued, made a car dubbed the "yellowbird" the fastest production vehicle in the world. Find one today and you can expect to pay well more than $1 million if the owner is prepared to part with it. Speculators might try to flip the ‘bird for a quick profit. 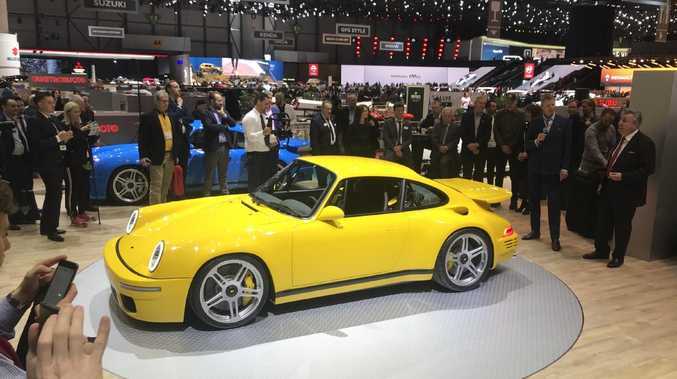 So Ruf built a 30th anniversary tribute model which looks like a slightly modernised version of the famed CTR, one home to updated LED lights, bigger brakes and larger wheels with more modern tyres. Closer inspection reveals the CTR is built on a new carbon fibre tub with horizontally-mounted pushrod suspension - the same technology used at Le Mans. Power comes from a stonking 3.6-litre flat-six engine with 522kW of power and 880Nm of torque, reaching the rear wheels through a seven-speed manual gearbox. Better still, weight on par with a VW Polo (about 400kg less than a modern 911) allows brave pilots to reach 200km/h in a little over eight seconds before reaching a terminal velocity somewhere north of 360km/h. Like its 1980s namesake, importing one to Australia would cost a low seven-figure sum. Then again, it's arguably much cooler and not that much more expensive than Porsche's latest GT2 RS. The Ruf would look majestic alongside the reimagined Lancia Stratos offered by Manifattura Automobili Torino. 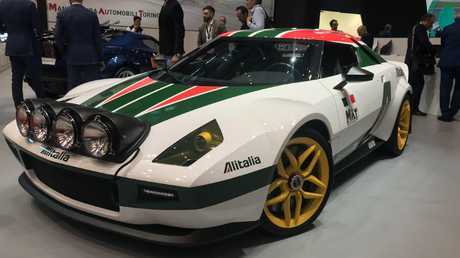 Originally intended to be a one-off for a Lancia-obsessed collector, the modern Stratos will be built in a limited run for rally lovers with exceedingly deep pockets. BYO Ferrari, bags of cash. Based on a cut and shortened Ferrari 430 Scuderia, the V8-powered Stratos will set you back around $875,000 for meticulous conversion work, though you have to source and sacrifice your own highly-collectable Ferrari as a starting point. There's a low-mileage example in Brisbane for sale at the moment, yours for just $700,000 plus on-road costs. Call it a tidy $1.6 million all-in. Surely for that sort of money could land a helicopter, or some sort of flying car? Indeed it can. 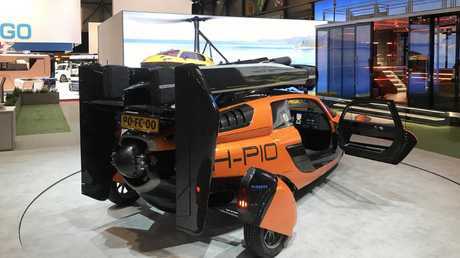 PAL-V will sell you a "Pioneer Edition" of its flying car for $599,000 US ($850,000), giving you the chance to take to the roads (in some countries) in a two-seat, 664 kilogram flying tricycle with an aerial range of 1315 kilometres. Looking more like an ultralight than a plane or car, the machine can cruise at 160km/h on the ground or in the air, soaring to a maximum altitude of 3500 metres. Flying car, or a plane with number plates? Yes. High-speed cross-country travel is the promise of Italy's CFG Style and its Kangaroo coupe. Dubbed by its PR man as "the perfect car for Australia", the battery-powered machine blends Lambo looks with Land Rover utility, promising to cover rough ground at speeds over 200km/h. The catch is that it's only a concept for now, and that a range of 450 kilometres would require four electric vehicle charging points in order to cross the Simpson Desert. A little less outlay will get you into the new Ginetta Akula, which comes from a motorsport specialist with expertise in sports cars including the 24 Hours of Le Mans. Akuna is Russian for Shark. Go beyond the coupe's confronting looks and you'll find serious levels of downforce from carefully sculpted bodywork, along with a bespoke 5.0-litre V8 offering 434kW of power for £340,000 ($635,000). Folks with a greater need for speed (and much deeper pockets) could snap up the Koeniggsegg Jesko hypercar, which packs more downforce than its predecessors, along with 1195kW of power intended to push the car beyond the 300mph mark - 485km/h in our language. Christian von Koenigsegg is determined to set new speed records. Which sounds positively normal compared with the glass-wheeled rickshaw pedalled by Sbarro. 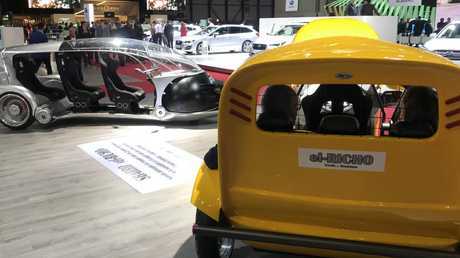 Reimagining South East Asian tuk-tuks as electric vehicles, France's Sbarro pushes (or pulls) affordable transport into the future with a modular battery, motor and drive wheel which could reduce emissions and improve air quality in urban centres. The el-RICHO could revolutionise transport in poor communities. A more comfortable option arrives in the aptly-named e.GO Lux, a driverless luxury pod intended for brilliant individuals who can't bear the thought of public transport. Like a private jet on wheels, the ego (whoops) is pitched as "the next generation of luxury commuting", configurable as a lounge, cinema, conference room or personal retreat. Don't expect it to go on sale any time soon. Is this the future of luxury vehicle ownership? Those who can't wait for driverless pods might consider something like Turkey's Erjex, which specialises in high-end conversions of Mercedes V-Vlass cans. Living up to its motto of "Do not stuck in little cars" (yep), Erjex stretches the V-Class by 27 centimetres before installing opulent interiors. 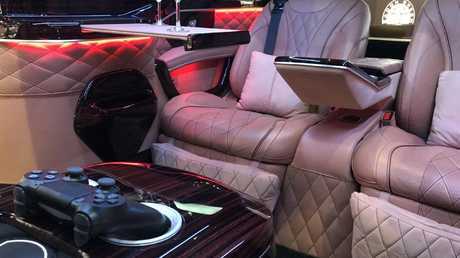 An eye-catching Maybach V-Class Edition on show at Geneva featured reclining seats pinched from the most luxurious Mercedes S-Class variant, along with a fridge, espresso machine, cigar humidor, surround-sound system, high-resolution TV and PlayStation 4 console. The conversion adds €175,000 ($281,000) to the price of a V-Class van which sells locally for around $80,000 on the road. Luxury transformations are thick on the ground in Geneva. Even the iconic Mini Cooper features, thanks to a comprehensive restoration program offered by David Brown Automotive - yours with rally stripes, 17 coats of paint, Apple CarPlay and a leather-lined cabin for £99,000 ($185,000). It isn't hard to get hold of an old Mini. But you could be the first cat in town with a Mole. Custom coachwork is surprisingly common at Geneva. 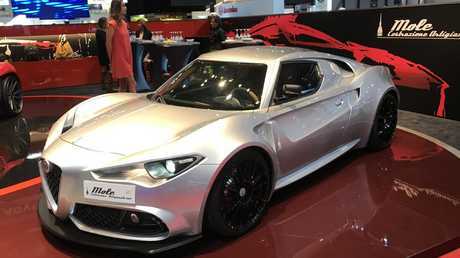 Based in Turin, Mole offers reworked versions of sports cars such as the Alfa Romeo 4C. Designed by a team led by Umberto Palermo, Mole gives customers a chance to have their favourite car reworked in dramatic fashion for around €200,000 ($320,000). If the Mole is a little too obscure, consider Hispano Suiza (gesundheit!). The Spanish concern famous for aero engines and pre-war automobiles is back in the form of two companies vying for the right to put a stork on the grille. 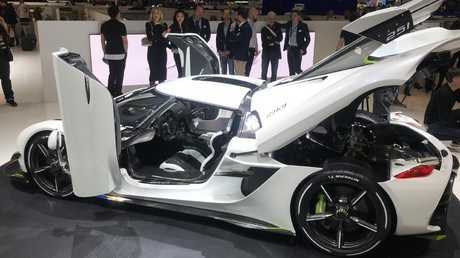 Electric power opens new possibilities for exotic cars with wild styling. 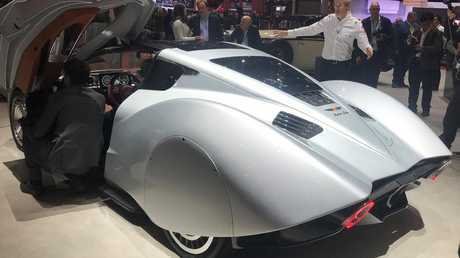 While that sounds like a recipe for trouble with the RSPCA, Hispano Suiza's avian emblem holds a special place in the heart of classic enthusiasts, something a Spanish group hopes to tap into with the Hispano Suiza Carmen. Sharp art deco lines won plenty of attention for the Carmen at Geneva, inviting observers in for a closer look. Hispano Suiza says the Carmen will be available for test drives soon. 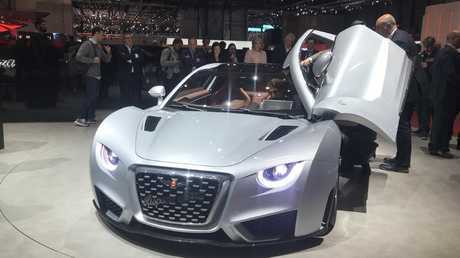 A pair of electric motors sending 750kW to the rear tyres suggests the glamorous two-door should prove brisk in a straight line, entertaining customers ready to spend €1.5 million ($2.41m) in their next set of wheels. Those of us without a Swiss bank account should probably stick to the Mazda stand. I hear they have a lovely new CX-30 compact SUV.